During many visits overseas, Dr. Ku stumbled upon the ingredients that now make up Dr. Ku's Ointment. One ingredient has been found to help with skin ailments. Another ingredient helps with skin bacteria. The third ingredient was discovered while in Australia. Crafted from the finest quality oils, our product is 100% natural. Inspired by healing elements based out of China, India, and Australia. Minute ingredients are added to help heal and smooth out the creamy formula. This makes applying Dr. Ku's Ointment easy! "My close friend had a bad rash on her hands and also her toes, she tried many products with no success. 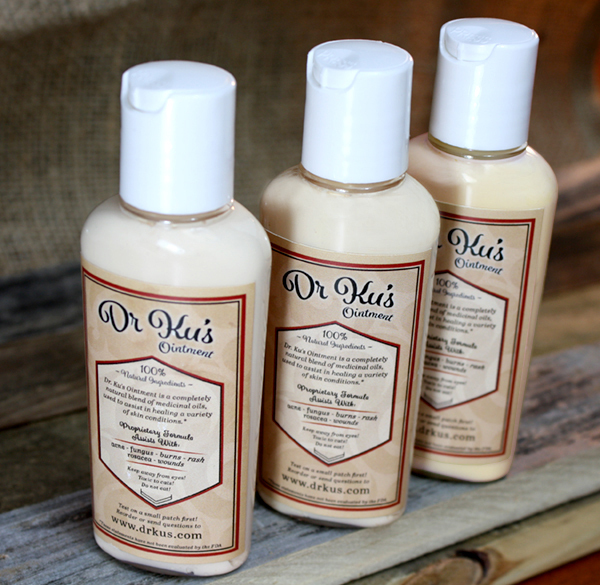 She applied the Dr. Ku cream, and within a few days, the rash was gone and she couldn't have been happier."